I want to go for a ride, and it was kind of warm today, so, I finally broke down and pulled the rear tire off my KTM 990 Adventure. 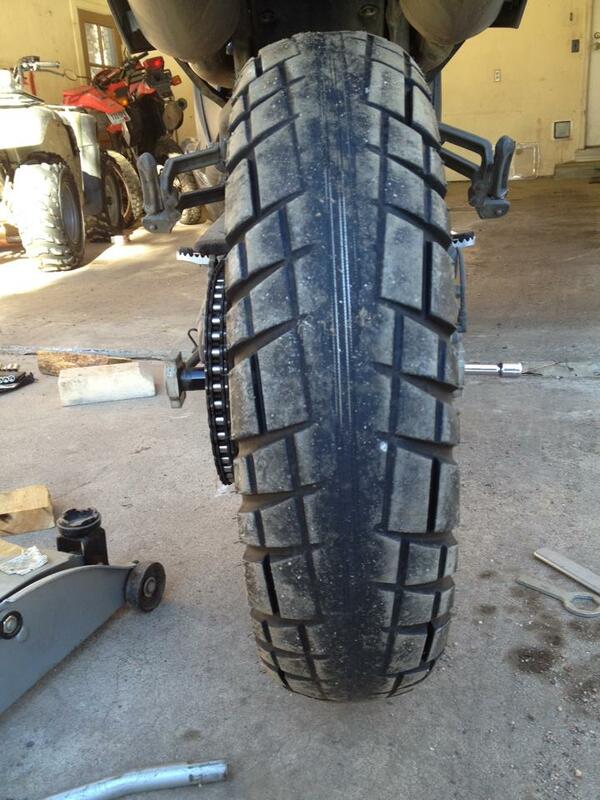 The steel belts are showing through the rear tire. Yikes!